Having experienced a pay freeze over eight years and endured two cost cutting programmes it is now pay back time. 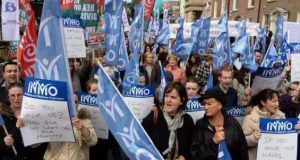 The claim lodged by the two biggest unions involved, the NBRU and SIPTU, totals 21% and contained within in it is 6% that was promised then reneged upon by the employers during the course of the crisis and a pay increase of 15% phased in over three years. Dublin Bus returned to profitability in 2014 despite having 27% of its state subsidy cut since 2008. We defend the idea of public transport subsidies and do not accept that as a public service with a universal obligation to the whole community should be profit driven. The true value of a properly funded and run public transport system cannot be measured by its balance sheet but the service it renders to society in terms of easing traffic, mitigating damage to the environment and minimising the isolation experience by many older people. The predictable media flak which routinely involves seeking out unhappy commuters must be opposed. 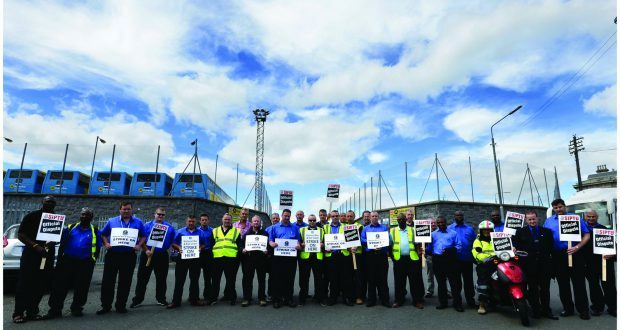 Any inconvenience caused by strike action is nothing really compared to the sacrifices that have to be made when your pay and quality of conditions are on the line. The success of the Luas workers in conducting their struggle earlier this year in the face of a media onslaught has clearly fed the confidence of bus workers that they can achieve a rise of a similar size. An important lesson from the Luas strike which could have direct relevance to the Bus workers struggle was that the struggle to a large degree was directed by the rank and file and led by the local shop stewards whose determination not to settle for a bad deal exceeded that of the national officials, hence their rejection in the middle of the dispute of an 18% offer (despite the recommendation of the SIPTU official) that had massive strings attached in particular for new entrant drivers whose lower start pay was meant to fund that offer. The government’s claim of recovery over the last couple of years is coming back to bite them. Working people can see that this is primarily a recovery for the top 1% in society and that austerity does not just automatically unwind but that the onus is on working people to fight for their recovery.